Auto Glass International in San Diego, provides quality auto glass repair and windshield replacement services wherever you are and whenever you need it. Cracked car windshield, window, side door glass, back glass or mirror? Trust Auto Glass International with your auto glass placement and windshield repair needs. We offer FREE mobile service at your convenience at your house of office for windshield replacement and auto glass repair! 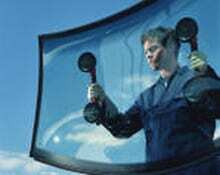 For a FREE auto glass quote or to schedule service call us. Auto Glass International in San Diego, provides quality autoglass repair and windshield repair and replacement services wherever you are and whenever you need it. …Read More. Cracked car windshield, window, side door glass, back glass or mirror? Trust Auto Glass International with your auto glass repair and replacement needs…Read More. We offer mobile windshield replacement and auto glass repair! 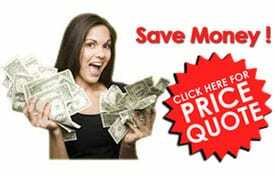 For an auto glass quote or to schedule service call us…Read More. Copyright © 2018, All Rights Reserved. Auto Glass International mobile auto glass shop in San Diego, CA, provides quality windshield repair and windshield replacement, and auto glass repair and auto glass replacement services to the following areas in California: San Diego, Chula Vista, Imperial Beach, National City, Encanto, Spring Valley, North Park, Lemon Grove, El Cajon, Mission Valle, Clairemont Mesa and Mira Mar CA. Turn to the experts in affordable car window repairs if you have chipped glass, a cracked mirror, or are in need of a window motor or regulator repair for your car or truck. Visit us at 4394 Powderhorn Dr., San Diego, CA 92154. Website developed and maintained by Creative Developments Web Design and SEO Marketing.